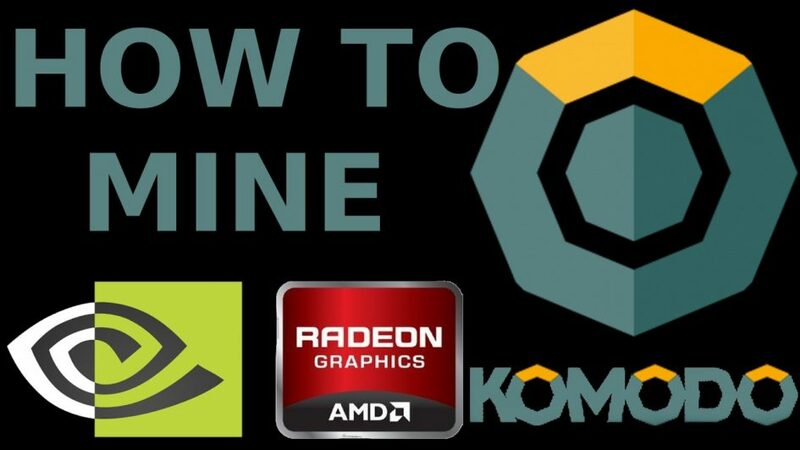 How To Mine KOMODO with AMD & NVidia GPU using EWBF’s 0.2.0b CUDA Nvidia Miner, Optiminer 1.6.1 AMD Miner, and Claymore ZCash AMD GPU 11.1 Miner in Windows. You can also use these miners in Linux (See download links below). Komodo aims at being the new standard for cryptocurrency security and anonymity. Protected by Zcash Zero Knowledge proofs users can make 100% untraceable transactions that are secured by Bitcoins Petahash Proof of Work, due to Komodos new delayed Proof of Work consensus mechanism. Bitshares Witness style consensus: Witness based notary nodes are responsible for notarizing the Komodo blocks on the Bitcoin blockchain. The notary nodes are chosen via voting mechanism, and they are rewarded with the majority of the block reward and transaction fees. Special thanks to Gege for letting me know this was added to Suprnova. http://www.komodominingpool.com is a secure and reliable mining pool born to mine new Komodo coin (KMD). Here, you can mine Komodo coin with your CPUs and GPUs just use any ZCASH (EquiHash) miner software with KOMODO ADDRESS. * No registration required , insert only your komodo address! * Payouts are done every minute! – However, 101 confirmations for a block are required to receive a payment in your wallet. With our first Android Komodo App, you can check your mining rigs from your mobile, check your current hashrate and other information of your miners and workers and remains updated with our Push Notification.